Eagle-Knight Lax has Programs for High School, U-15, U-13 and U-9 Players managed by the Freedom and Champe HS Coaching Staffs. 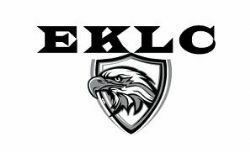 Eagle-Knight Lax will have tryouts for our U9, U13 and U15 teams April 6th & 7th. Our HS teams will be open to anyone who has played for us in the past. If you have never played for us before and would like to join one of our HS teams you will need to attend one of the evaluation sessions in March or April. Madlax is a comprehensive national lacrosse company offering travel elite level club teams, camps, clinics, leagues, and private lessons for boys and girls ages 5-20. Madlax also operates many team tournaments and recruiting showcases for boys all-star teams ages 8-18 from the US and Canada.